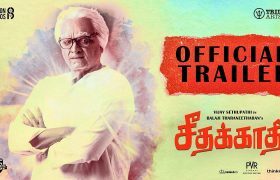 Super Deluxe Official Trailer Presenting herewith Tamil trailer of the film in which Vijay Sethupathi, Samantha, Ramya Krishnan play the main roles. Directed by Thiagarajan Kumararaja, the music of the film is composed by Yuvan Shankar Raja. 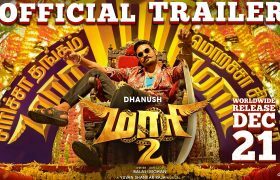 Maari 2 Official Trailer is out. It is a Tamil film featuring actors Dhanush, Sai Pallavi, Krishna, Varalakshmi Sarathkumar. Tovino Thomas, Robo Shankar, Kalloori Vino, Kaali Venkat are other casts of the movie. The film is directed by Balaji Mohan. Dhanush has produced the film. 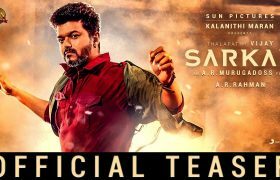 Sarkar is an upcoming Indian film featuring Vijay, Keerthy Suresh, Varalaxmi Sarathkumar, Yogi Babu and Radha Ravi. The Tamil film is directed by A. R. Murugadoss. The music is composed by A. R. Rahman. The film is scheduled to be released in November 2018, coinciding with Diwali. Watch intense, power-packed Tamil trailer of the film Saamy featuring Chiyaan Vikram, Keerthi Suresh, Bobby Simha, Soori, Prabhu, John Vijay, Ishwarya & Others. Saamy Square film script is written and directed by Hari. The film produced by Shibu Thameens, the film has music composed by rock star DSP. The Terrorist is a Kannada film featuring Ragini Dwivedi & Others. P C Shekar is the director of the movie and producer is Alankara Santhana. Music is composed by S. Pradeep Varma. Ranam is a Malayalam movie starring Prithviraj Sukumaran, Rahman, and Isha Talwar. This action entertainer is directed by Nirmal Sahadev and produced by Anand Payannur Rani & Lawson Biju. The music is composed by Jakes Bejoy. Thayige Thakka Maga is a Kannada film starring Krishna Ajai Rao, Ashika Ranganath, and Sumalatha in the lead roles. Judah Sandy will be scoring the tunes for this flick with Shekhar Chandru has been handling the camera. Kalari is a Tamil-language film featuring casts Krishna, Vidya Pradeep and others. The film script is written and directed by Kiran Chand. Music is composed by VV Prasanna. 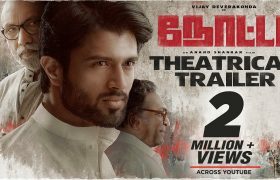 Kanaa is a Tamil film featuring Sathyaraj, Aishwarya Rajesh, Dharshan, Ilavarasu, Munishkanth, and others. The film is directed by Arunraja Kamaraj and music is composed by Dhibu Ninan Thomas. Kolamaavu Kokila is a Tamil film starring Nayanthara in lead. Yogi Babu, Saranya, Saravanan, R.S.Shivaji, Cheenu Mohan, Hareesh Peradi, Naan Kadavul Rajendran, are other casts of the movie. Directed by Nelson, Produced by Lyca Productions, the Music is scored by Anirudh Ravichander. Alpha (2018) is an action drama thriller releasing in English Tamil & Hindi language in a theatre near you on August 24, 2018. Kodi Smit-McPhee, Leonor Varela, and Chuck are the casts of the movie produced by Albert Hughes and directed by Albert Hughes. Ajith Kumar, Vivek Oberoi, Kajal Agarwal, Akshara Hassan & Others are the cast of Kannada film Commando. Director is Siva and the Music is composed by Anirudh Ravichander. Jayam Ravi, Raashi Khanna, Sampathraj, Munish Kanth, Pon Vannan, Subbu Panju, Babu are the casts of the Tamil movie Adanga Maru. The Script is written & directed by Karthik Thangavel. Music is composed by Sam CS. The film is produced by Mrs. Sujataa Vijaykumar under Home Movie Makers banner.